Toys for Tots Outreach - Washington-Harris Group, Inc.
Toys for Tots is a program which provides toys for underprivileged children. WHG supported the US Marine Corp who distributed toys to children whose parents cannot afford to buy them gifts for Christmas. 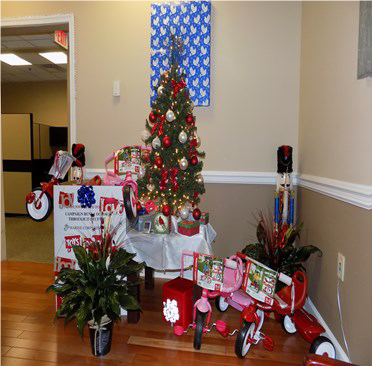 Washington-Harris Group Staff participated in Toys for Tots. We collected a box of toys for children in the metropolitan area. Thanks to all who participated and gave toys.